Our success is based on providing cost-effective solutions that meet or exceed our customers’ expectations. Pennsylvania Precision Cast Parts (PPCP), an industry-leading investment casting company located in Lebanon, PA., has been chosen to provide an extensive range of investment casting services to Warren Controls of Allentown, PA, a producer of precision control valves and accessories. To produce the castings, 101 casting tools were relocated to PPCP. Read testimonial. Warren Controls had been experiencing significant quality problems with investment castings being produced for them. As a result, extensive in-house work had to be done on the castings after receiving them from the foundry. 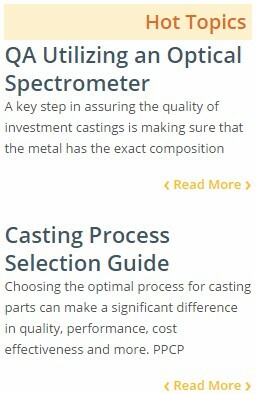 PPCP was able to quickly engineer a solution that resolved the issues and ensured the quality of the castings. 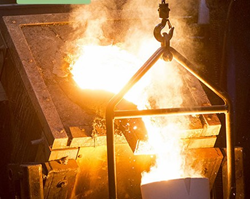 PPCP’s solution delivered a significant casting cost reduction, while eliminating the part defects, which annually saved 600 man-hours of labor.